The Selous, the world famous game reserve in southern Tanzania, is the largest protected wildlife area in the world. It was specifically created for hunting and is, in fact, not often visited by photographic tourists. It is from the Selous that the greatest tuskers in Tanzania and some of the best leopard and lion trophies have come. There are no people living within its boundaries, and it contains some of the greatest wildlife concentrations on the continent. This includes 60,000 elephant, over 120,000 buffalo, more than 500,000 antelope, and a couple thousand large carnivores roaming freely in its forests, riverine thickets, steppes, and mountain ranges. The recorded history of the Selous goes all the way back to the mid-1800s when Richard Burton and John Hanning Speke passed the northern fringes of the Selous in search of the source of the Nile. Many interesting characters left their mark on the Selous, not the least of whom was Kaiser Wilhelm of Germany. It was his government that laid out the rules on the use of the land along the Rufiji River. Most hunters will know that the Selous was named after Frederick Courteney Selous who died near Beho Beho during WW I. He was buried in the reserve, and, for the longest time, his grave was "lost" and almost entirely swallowed by the wilderness. 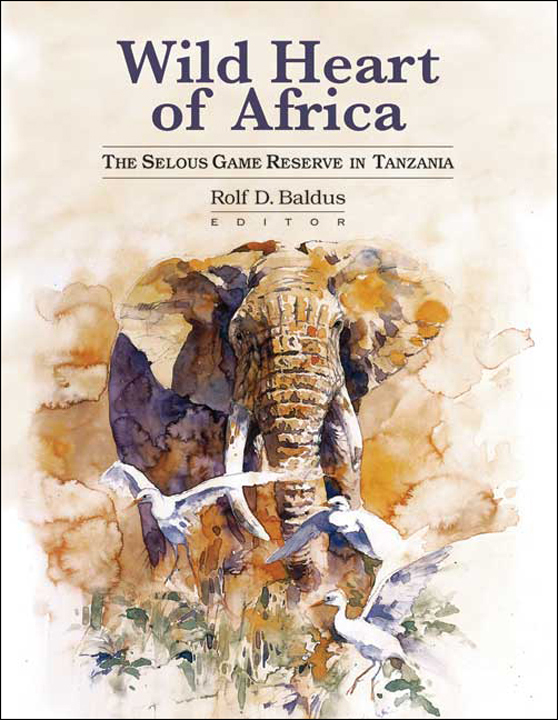 he contributors to this book are the people who have helped make the Selous the greatest game reserve in Africa and a mecca for the international big-game hunter. Contributors include F. Alpers, G. Atanas, R. D. Baldus, G. Bigurube, R. Bonham, R. Hahn, B. Kibonde, W. Kuhnert, J. McCarthy, B. Meier, I. N. Ngwatura, B. Nicholson, C. Pitra, A. Rodgers, R. Rohwer, M. Shand, L. Siege, N. Stronach, E. Tarimo. These contributors share over a century of work in the reserve. Submit your review for "Wild Heart of Africa"